If flying cameras are your thing and you’re a fan of all things miniature, then the world’s smallest camera drone is likely to get your juices flowing. With that in mind, you’re likely to be rather pleased to learn that what is claimed to be exactly that is now available to buy. 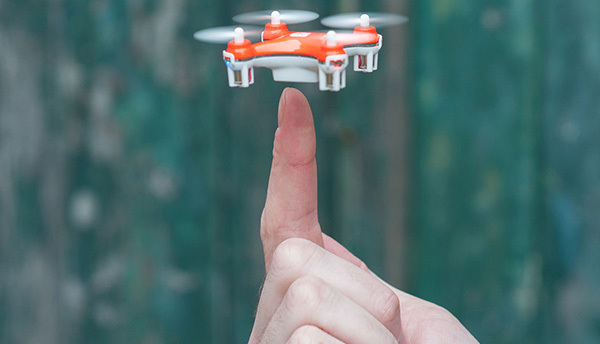 Weighing in at 14 grams (.49 ounce) and measuring just 4.0 x 4.0 x 2.2 cm (1.57 x 1.57 x 0.87 inch), the SKEYE Nano Drone is quite an impressive piece of kit to look at, and it can now be yours for $69. The world’s smallest camera drone needs a pretty small camera, so the one built into the SKEYE Nano Drone features 300,000 pixels and a 640×480 resolution. All of the video that the camera records is saved to the included 2GB microSD card, making getting the content into a computer, and therefore, the Internet, as easy as can be. Following are the features and technical specifications of the drone as quoted by manufacturer TRNDLabs. At this price, we might have to get one for ourselves, and the excitement can only be mildly tempered by the rather gaudy controller and lack of any smartphone control support. But again, this thing is super-tiny and costs peanuts compared to some of the high-end flying things we have seen of late. The camera may not be HD either, but again, the video quality you’ll be getting out of this drone isn’t its selling point, which would be its pocket-sized body. 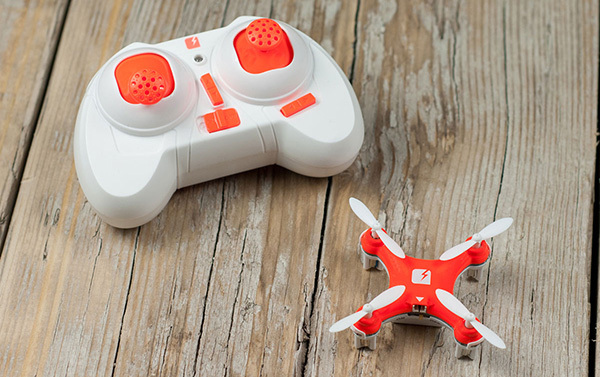 Maybe the SKEYE Nano Drone 2 will have us covered, though! This article is misleading. There’s no camera in the $49 model. Looks like a “Cheerson CX-10C Mini Drone” knock off from china which I bought from ebay late last year for $42 AUD with identical specs. Bought this Cheerson CX-10C mini drone off amazon last October for, wait for it….., $24.71. Umm, what would you do with ~3-4 minutes of flight time?! ?